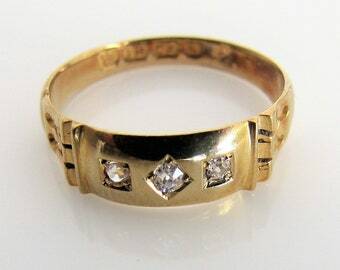 An antique high quality handmade wedding band, dating from the Art Deco era. This simple classic beauty has a domed court-shaped profile and is rendered in buttery 18 karat gold with clear Birmingham hallmarks for the year 1926. Also perfect for wear as a midi ring and on the pinky finger this little gem will arrive in one of our reproduction ring boxes as shown, the boxes are made in the UK and are fine quality. MEASUREMENTS: Width of band: 2.75mm. Finger size 4.5 (US) i (UK) 47.75 (EU) Sizing available for a fee. 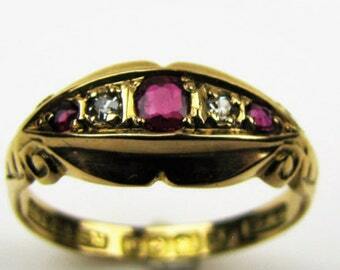 HALLMARKS: English hallmarks for 18k gold: Crown & 18, Birmingham date letter "B" 1926 - ACCo maker's mark. Also stamped number "1"
CONDITION: Excellent, with no wearing thin of the gold, this is a solid heavy for size ring and any dark marks are camera shadow. Browse more exceptional fine and costume jewelry from every era - Georgian - Victorian - Edwardian - Art Deco - Modern - at mercymadge.etsy.com - With new arrivals added to our shop daily we offer an interest free layaway plan as well as a no risk guarantee. Our standard shipping includes tracking for your peace of mind. 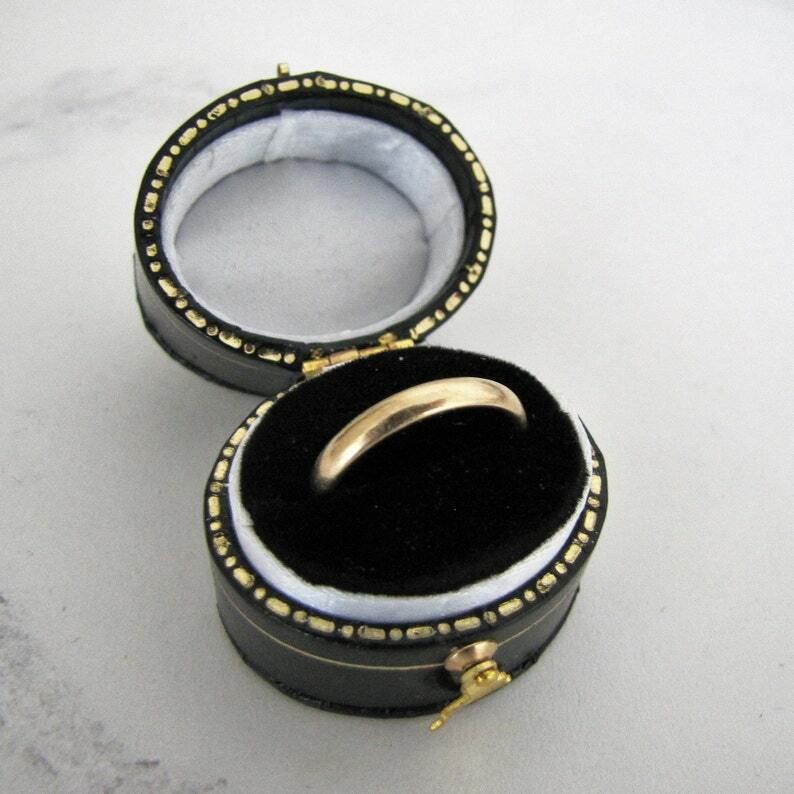 Your purchase will arrive gift wrapped in a Mercy Madge antique style ring box, perfect for giving or safekeeping!